You might have noticed over the past five years that we’ve put Wire on a great many times. It started back in 2010 when we put them on with Factory Floor and, the following night, Lone Lady. In 2013 we teamed up with Wire and the Quietus for the first DRILL:Festival, which included not only three shows at the Lexington but shows at Heaven and Cafe Oto with supports as varied as Toy, Gazelle Twin, Comanechi, Teeth of the Sea and Charlie Boyer. Earlier this year DRILL returned to the Lexington with a run of five consecutive nights in April along with a critically acclaimed and definitively self-titled 14th studio album. That brings us to 2nd December 2015 and the Tufnell Park Dome. The short answer to the question of why is it that we love Wire so much is, of course, that they’re so very good and have formed a huge part of our collective influences since their 1977 debut. Whether it was at the time or decades later, any of the fourteen albums could have ignited our interest and we argue regularly about our favourites in the office, but the thing you always take home from any Wire record, when you place it in it’s time, they are a band who wont stop evolving. For the sake of posterity I spoke with the Lexington’s head booker Matty Hall and tQ editor Luke Turner about just exactly it is that makes them so special. How many times have you booked Wire? Luke: Good Lord, but I can’t remember. They’ve always been a huge amount of fun, though. When did you first come across Wire? What is it that keeps you going back to them? Luke: …what I love about Wire is how they don’t go for that canonical, here are the classics approach that so many groups do. Given that over the years they’ve been mysteriously ignored, this is a pleasingly perverse attitude – most bands would have used some Classic Album Gigs to rebuild their profile before releasing new material. I admire Wire for doing that. What keeps me going back is how odd they are, this constant tug of war between pop and strange, the curious lyricism (Wire’s wit is another overlooked part of what they do) and just how beltingly good they are live. The band keep pushing forward, releasing new material, refusing to play the old stuff as you mention, really taking that ethos of the punk movement and running with it for almost 40 years. Do you think that’s something that more bands should do? Luke: Yes. There are too few that do. And it’s not just post-punk groups, these bands who come back, dirge through their back catalogue and don’t bother writing new material really get on my wick. They’re essentially taking money from younger artists and feed the nostalgia industry. It probably costs Wire a pretty penny, but I love that they don’t do that. Why do you think they’ve managed to remain relevant instead of perhaps slipping into dad rock territory? Luke: Unique individuals with very current tastes butting up against each other. Tension probably keeps them going forward to an extent, plus in Matt Simms they’ve a brilliant and inventive young guitarist. I also suspect that Colin and Graham would be out of Wire like a shot if either of them got bored, so perhaps it’s a case of them keeping everyone on their toes. Are there any bands around today where you can see that same drive and vision lurking? Luke: The Quietus’ aim when we’ve put Wire gigs on has always been to marry them with younger artists who we feel capture their spirit and energy, not sound like them. Just look at the Quietus and Wire-selected DRILL line-ups in London for evidence of that – we’ve always wanted to move way beyond guitar bands. So who can we expect to see supporting? Luke: Er… good question. Matty, do we need to discuss this? 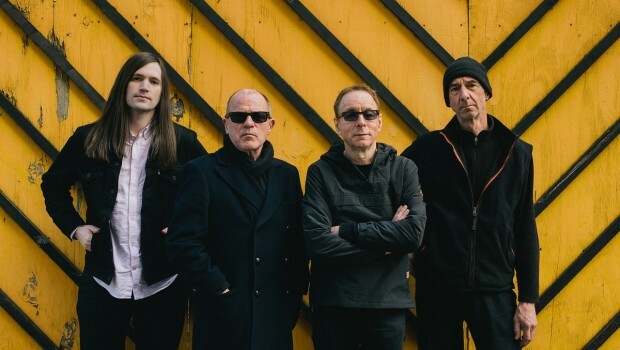 The Lexington and the Quietus present Wire at The Tufnell Park Dome on 2nd December 2015. This entry was tagged DRILL, the lexington, the quietus, wire. Bookmark the permalink.